Cut each egg in half. Remove yolks; place in large bowl. Mash yolks with fork. Stir in onions, salt, pepper and ranch dressing. Chop egg whites; stir into yolk mixture. 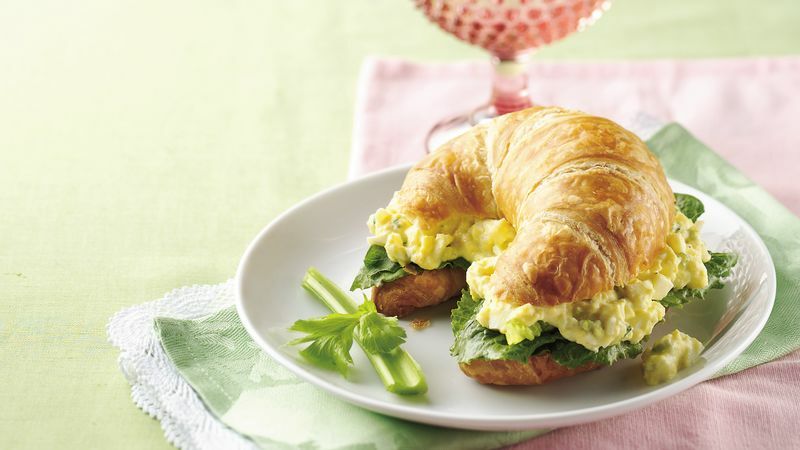 To make each sandwich, top bottom half of 1 croissant with about 1/2 cup lettuce and 1/2 cup egg mixture. Cover with top half of croissant. Repeat for remaining sandwiches. To save time, purchase hard-cooked eggs from the deli section of the supermarket, or use leftover Easter eggs.